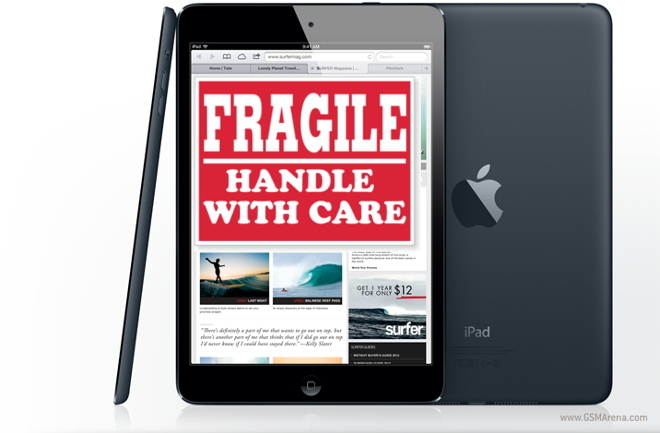 iPad Mini and Galaxy S4 are most likely to be break. A resent research show that iPad Mini and Galaxy S4 are most likely to be break and evaluated them as most fragile devices as compared to other smartphone available in the market. Following close behind was the Samsung Galaxy S4. In fact, Apple and Samsung products dominated almost all of the list. The tests consisted of dropping the devices onto concrete and dipping them into water. The results of the drop and dip tests were then reconciled with other factors: the design of the devices and how likely they were to fall out of your hands and how much each device weighed. Is durability a factor that guides your purchasing decisions? Or do you slap a case on your device and forget about it? Let us know in the comments. Fido Samsung Galaxy S II LTE Overview- How to Unlock Fido Samsung Galaxy S II LTE ? LTE (Long-Term Evolution) download speeds for lightning-fast downloads of movies, apps, games and web at speeds up to 4 times faster than 3G. The fastest wireless technology available today, LTE offers a superior experience for customers using highly interactive applications like multi-player games and rich multimedia communications. For more details on the LTE network, visit the Rogers website (rogers.com/lte). Noticeably higher data transfer speeds for faster webpage loading, softer UI transitions and ultrafast power-up and power-down. 1.5 GHz Dual Core processor provides incredibly smooth full HD 1080p video capture and playback at 30fps. Great graphic performance and fast data processing—perfect for using multiple applications simultaneously. Plus, the Adobe® Flash® Technology allows for seamless web browsing. Take Your Fido Samsung Galaxy S II LTE with you on vacations and use the local service provider sim card in your phone and save roaming fees. * The resell value of Fido Samsung Galaxy S II LTE will increase significantly as it is available to more carriers. * There is absolutely no risk of damaging your Fido Samsung Galaxy S II LTE by unlocking it. How to Unlock SAMSUNG i337 GALAXY S4 LTE? * The resell value of Bell Samsung Rugby II A847 will increase significantly as it is available to more carriers. * There is absolutely no risk of damaging your Bell Samsung Rugby II A847 by unlocking it. [Guide] How to unlock Bell Samsung S275 network code? * The resell value of Bell Samsung S275 will increase significantly as it is available to more carriers. * There is absolutely no risk of damaging your Bell Samsung S275 by unlocking it. [Guide] How to unlock Bell BlackBerry Bold 9900 4G network code? * The resell value of Bell BlackBerry Bold 9900 will increase significantly as it is available to more carriers. * There is absolutely no risk of damaging your Bell BlackBerry Bold 9900 by unlocking it. [Guide] How to unlock Bell BlackBerry Curve 9320? * The resell value of Bell BlackBerry Curve 9320 will increase significantly as it is available to more carriers. * There is absolutely no risk of damaging your Bell BlackBerry Curve 9320 by unlocking it. [Guide] How to unlock Bell Samsung Galaxy S II HD LTE code? * The resell value of Bell Samsung Galaxy S II HD LTE I757 will increase significantly as it is available to more carriers. * There is absolutely no risk of damaging your Bell Samsung Galaxy S II HD LTE I757 by unlocking it. [Guide] How to unlock Bell Samsung Galaxy Rugby LTE? * The resell value of Bell Samsung Galaxy Rugby LTE I547 LTE will increase significantly as it is available to more carriers. * There is absolutely no risk of damaging your Bell Samsung Galaxy Rugby LTE I547 LTE by unlocking it.